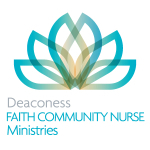 Deaconess Nurse Ministry is a nonprofit organization focused on providing mental and physical health-related services to seniors and low-income adults in their community. Unable to effectively track data with several versions of records on paper and a home-grown database that didn't update to give every nurse in the field the same data, Deaconess Nurse Ministry needed a technology solution to report and work with nurses that don't operate out of one central location. With Apricot Core, Deaconess Nurse Ministry was able to give their nurses the ability to input all of their data into a centralized system regardless of their location. Their improved reporting capabilities had a significant impact on their service delivery, which before lacked accuracy. This case study provides an example of how software can help organizations better serve their missions. Read their story to learn more.